And you dont need to bring your own make up because we can use lioele indonesia products on the spot! The theme for this make up class is Dolly Make Up! woah.. looks fun..please have it in semarang to next time..
That sounds like so much fun Q.Q I wish I lived near you!! XDD i hope the best for malay! 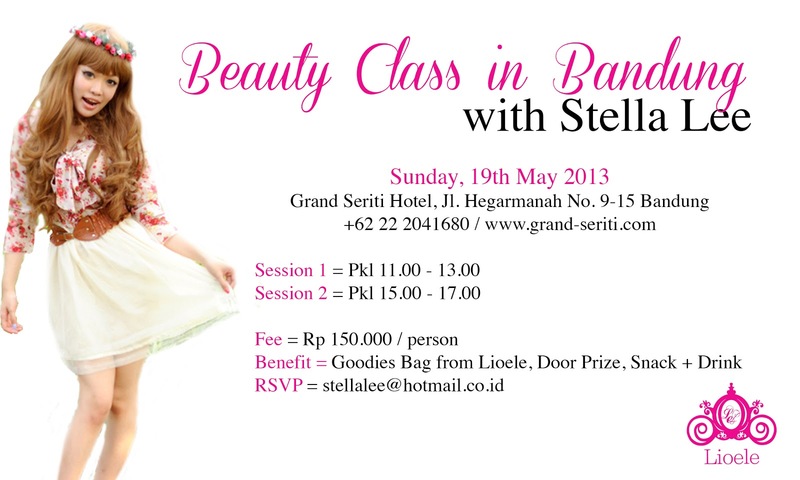 Go stella goo... Stella goo..
udah kirim email untuk rsvp? ci stella di jakarta kapan?? ?